What Car Deserves An LS9 V8? Dropping an LS7 V8 in a Chevrolet Matiz is kind of cool, but why not an LS9, fellas? Think big (or crazy small). What car deserves an LS9 V8? 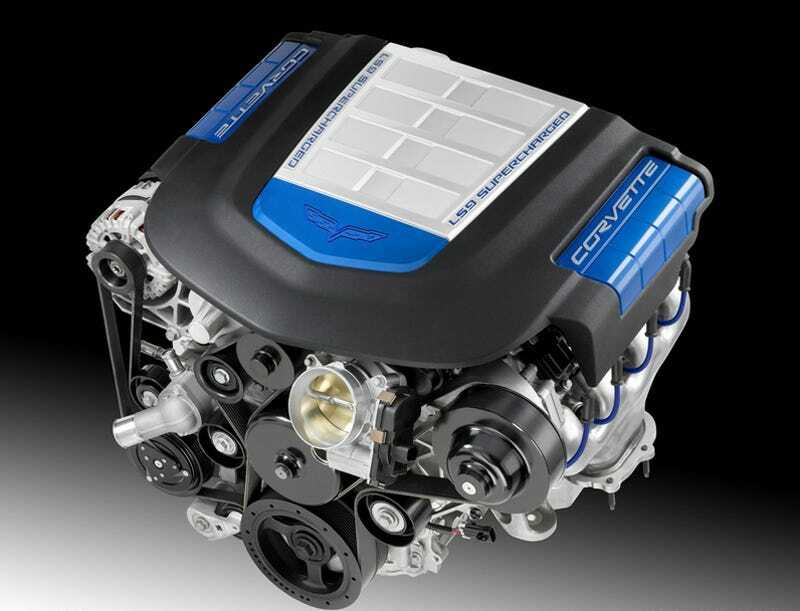 Sure, we could drop the LS9 V8 crate engine, normally found under the hood of the 2009 Corvette ZR1, in a Chevy Aveo or a GAZ-51 custom truck. But aren't those kind of obvious? If we had the monster crate engine, capable of 638 HP and 604 lb-ft of torque, we'd want to put it into something completely incongruous. Can you say Tesla Roadster Sport? In it's current form, we doubt the LS9 would actually fit behind the cabin, so we'd have to make it a Tesla Roadster Sport shooting-brake, an idea so exciting if we put it on the Weather Channel it would blow up your television. It would eschew both the Tesla concept of electric motivation and the Lotus concept of lightness by dropping a big, honking V8 in it. Glorious. What about you?